First of all, one of my best friend: 43 (44 in December), with troubles of endometriosis and high FSH [follicle stimulating hormone], two failed ICSI [Intracytoplasmic sperm injection], first time natural pregnancy! She is now almost 5 months, yesterday she got the result of amnio [Amniocentesis]: it's a very healthy boy! I am 43, I will be 44 when I deliver my baby. It's been exciting and scary at the same time. I had a miscarriage last year, and in September of this year got an unexpected surprise and yes all natural conception. I had an appt. with my OB/GYN yesterday and she couldn't find the heartbeat, she could sense the worry in my voice and on my face, so she sent me to the hospital right away for an ultrasound. The tech couldn't find the baby on the ultrasound and wanted to do a transvaginal. A short time into the the transvaginal she smiled and said she was detecting a heartbeat and had to find the baby. 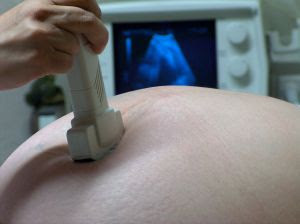 She found the baby, explaining that this early in the pregnancy it is hard to detect the heartbeat dopplar or ultrasound. I am 10w and 5/7th. She turned the monitor and said there's your baby. I was so relieved and overjoyed at that moment that I cried through the rest of the ultrasound. The baby was moving and kicking so much it was hard for her to get a measurement and the heart rate was 175. Baby appeared to be healthy. I was extremely emotional when I got to the car and cried all the way home. My doctor said this pregnancy is going to drive me nuts, but it is all very worth it. Best of wishes to all of you moms who are pregnant in your 40's!! I got pregnant at 43 (naturally) for he first time had her at 44. 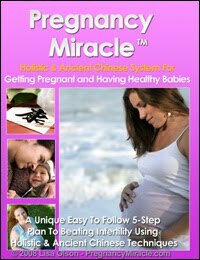 I was high risk with diabetes and high blood pressure before I got pregnant. I was told at age 30 I couldn't have children, but after 14 years of marriage and no birth control all those years I was blessed and had a perfectly healthy baby girl! She is now 4 and the joy of mine and her daddy's life!